As my semester abroad comes to an end, I’ve been reflecting upon one aspect of urban India that is present in all the cities that I’ve visited during the past three and a half months. 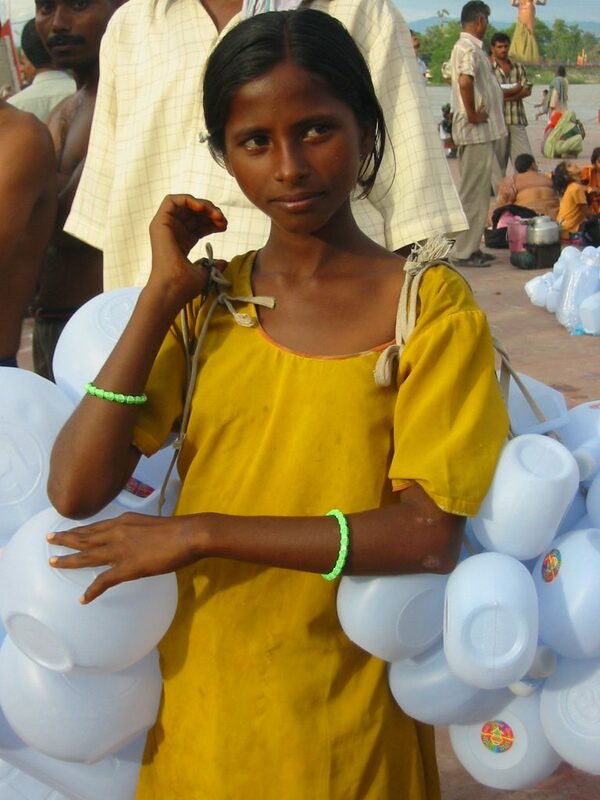 Whether in Hyderabad, Chennai, Bangalore, Varanasi, Agra, or Delhi, poor children roam the streets either begging for money or selling small trinkets around tourist sites. As a pre-med student interested in becoming a pediatrician, my attention always goes to children everywhere I travel, particularly those who seem most vulnerable based on their living conditions. During this trip, I’ve had several encounters with children on the streets. Some encounters were positive and some triggered negative emotions within me. Nevertheless, they have all helped me reevaluate my own privileged position in society, as a tourist in India and as an American college student. During our fifth week in India, we visited the city of Hyderabad and worked with an organization called Hyderabad Urban Labs (HUL). Occasionally, we had to walk from our hotel to the main HUL office. The walk took about ten minutes, and we had to cross a hectic main intersection to get there. As usual, our group of western looking students stood out among the Indian crowd while walking up and down the busy streets. At this point in the trip, I was already used to the constant staring and encountering beggars, but I was not ready for what we would experience when walking back from the HUL office on September 21st. On our way to the offices, I noticed a group of barefooted street children walking ahead of us. They were probably between the ages of five and fourteen and wore soiled and torn up clothes. On our way to the office they did not approach us. However, as we walked back to our hotel at the end of the day, we had a very startling encounter with them. Our group was walking in a single file to avoid the vehicles on the street. Suddenly, the group of street kids appeared out of nowhere and started pulling on some of our clothes and bags relentlessly. They did not grab me, but I saw how they held onto Emma’s pants begging for money or maybe food. I couldn’t understand what they were saying because of the chaos and our shock. We kept walking and they kept begging until a stranger harshly told the kids to go away. Most of us were stunned by the scene. Hannah and I later talked about how confused we were because the encounter made us feel incredibly sad and helpless. After the children left and the panic faded we reconvened at the street intersection. I asked our program director, who has lived in India several years, if giving them some money would have been the right thing to do. She said that those kids were most likely part of a mafia that uses them for profit, so the money wouldn’t go to them but instead to the adults who control them. I knew that these cases existed, mostly from documentaries, articles, and movies that I have seen about street children in India. However, seeing some of them in person was much more shocking than viewing them on a screen or on paper. Besides some shockingly negative encounters with children on the streets, I have also experienced many positive ones. The most remarkable one was in the city of Agra. As we left the Taj Mahal site, one kid in particular caught my attention. He was a hawker, and probably around eight years old. He was trying to sell packs of small, handmade elephant keychains to the tourists that were leaving the Taj. Initially, he spoke to me in English with a strong Indian accent. “Twelve elephants, one-hundred rupees, cheap cheap,” he said. As usual, I did not want to completely ignore him, but also, I did not want to buy his souvenirs. Every time hawkers approach me, I get a little bit nervous. I can never entirely ignore them because it makes me feel as if I am disregarding their humanity. On the other hand, I know that if I look at them, or their products, for too long they will not stop insisting until I buy something or physically leave the site. After three months in India, I have mostly learned how to acknowledge the trinket vendors without seeming like I want to buy something. However, this little boy at the Taj ingeniously trapped me. His charm and clever selling techniques mesmerized me so much that I couldn’t walk away without buying the pack of twelve elephant key chains. When he first offered the souvenir, I looked at him briefly, smiled, said “no thank you,” and continued walking towards the tour bus. However, the fact that he was such a small boy selling knick-knacks in such a zealous way surprised me, so I naively stared at him for too long. My long stare probably gave me away, he knew I was interested, he probably knew I would end up buying something. As I walked towards the bus, not responding to his deals, he asked me what language I spoke. I said Spanish, hoping that it would convince him to walk away. Little did I know, he would start giving me his selling spiel in Spanish! He said, “cien rupias, doce elefantes, poquito precio, uno, dos, tres, cuatro…” while sneakily smiling at me knowing that his language skills were impressive. He counted to twelve, gave me the price with the correct currency, and even told me that the price was low and worth it all in Spanish with almost no mistakes! At this point, I was so charmed and impressed that I pulled out a one-hundred rupee note without hesitation and bought his pack of twelve elephant key chains. Even though the product itself looked a little bit rough, I thoroughly enjoyed the boy’s enthusiasm and charisma. For just $1.50, I experienced one of the most memorable purchases of my journey in India. Unfortunately, the courses that I took this semester did not address the issue of street children in depth. However, now I know that if I return to India I would like to explore this topic further. Encountering many working or begging children sparked millions of questions about their living conditions. Where do they sleep and eat? How many of them have stable homes? Did the beggar kids that I encountered actually belong to the mafias? Do child hawkers have supportive families despite their low socio-economic status? And do child hawkers often become adult hawkers? Furthermore, my encounters helped me put this trip in perspective regarding my own privileges as a college-educated American studying abroad in a developing country. 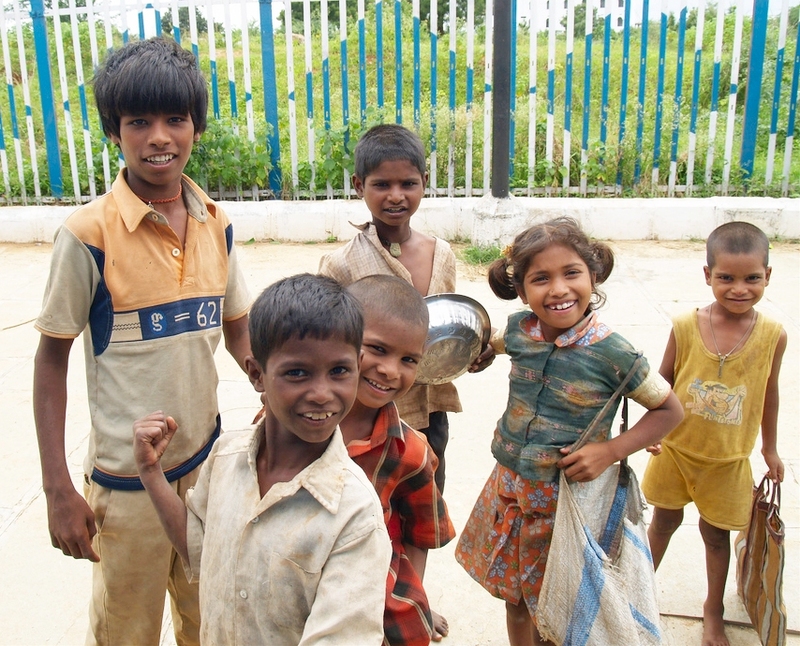 For three months, I’ve been learning how to react to child hawkers and beggars in the urban areas of India. I know that I cannot support every marginalized youth by giving them money, food, or by buying what they’re selling, and it is not my duty to do so. But I also know that acknowledging them is essential as a sign of respect for their personhood. Ultimately, I have learned to deeply reflect on each encounter that I have with children on the streets because all my experiences with them in the streets of India, or any other country, have been and will be unique and valuable.